I made this homemade saffron aioli for the first time last month while helping out a chef friend with prep for a dinner he was cooking. "Do you know how to make aioli?" he asked. "Can you do one with saffron?" "I do!" I said, and gathered the ingredients--an egg, two kinds of oil, a bit of mustard, garlic, lemon, and the saffron. Aioli is basically just a fancy name for homemade mayonnaise with garlic, and can be used in pretty much the same way. Once you learn how to make it (and it's basically just a bunch of stuff in a blender--that easy! ), you can then mix it up however you like--add fresh herbs, roast the garlic, sriracha, spices...so much you can do! 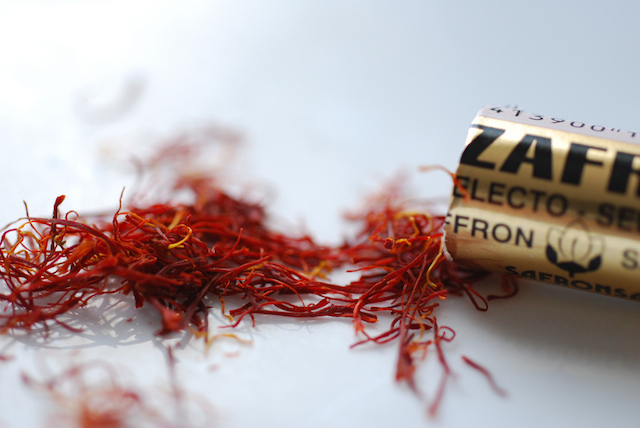 Saffron typically needs to be "bloomed" before you can cook with it. All that means is you need to steep it in a liquid of some kind of bring out the flavor and color--almost like a tea. Most saffron recipes--like my Blackberry Saffron Almond Cake and this Saffron Walnut Bundt Cake--have a bit of liquid that can be warmed up, but the aioli doesn't. I tried making it by warming up some of the oil and adding the saffron. It worked really well, but when I tested it again (while feeling lazy) I skipped that step, and realized it worked the same way anyway so here is the simplified recipe. One thing you definitely can not skip, is the combination of oils. I know it might be tempting to use all olive oil, but don't. Mayonnaise or aioli made with all olive oil is bitter and not good. (It's gross, actually.) You need the half and half combination of good spicy extra virgin olive oil and then a plain oil like grapeseed, avocado, or any vegetable oil you choose. 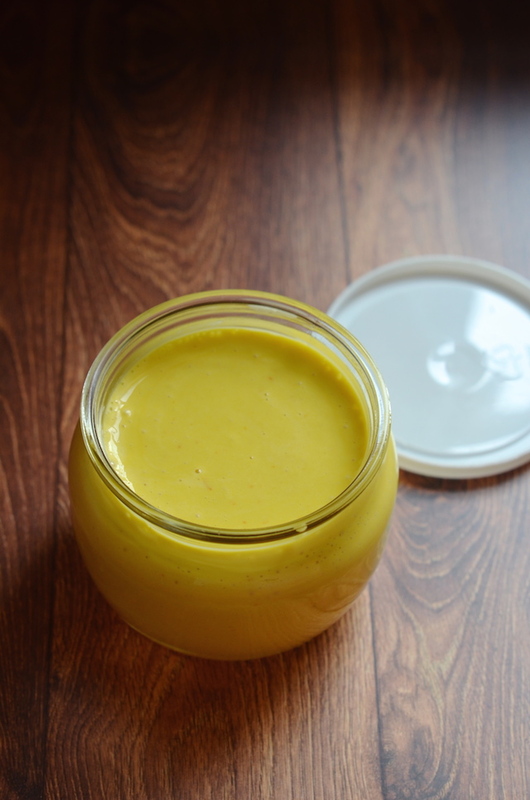 This gorgeous saffron aioli is fantastic with roasted or steamed vegetables (especially asparagus or Brussels sprouts! ), crispy potatoes (or fries! ), eggs, or in a sandwich. In a blender or food processor, combine egg, garlic cloves, mayonnaise, lemon juice, and saffron threads. Puree for 1 minute until smooth, then scrape down sides. With the motor running, slowly pour in both oils in one long thin and consistent stream, continuing to blend for 5 minutes, or until smooth and thick. Taste and adjust seasoning as desired, adding more salt or lemon juice as needed. Transfer to a glass jar or bowl, cover, and chill at least 30 minutes before serving. Will keep well one week.